I think Swat Kats is special to me cuz they're the right show at the right time kinda thing. Growing up kinda sucked but who really has the perfect childhood so really no big deal and it did make me who I am today. My parents were separated and when they finally got back together I thought it would be great but I quickly found out how wrong I was. My mom for whatever reason would drag me into their argument looking for sympathy or a ref i don't know but when I tired to get out of it or say they both had their points I ended up in the dog house along with my dad. As a day dreamer and not being old enough to go out on my own I fantasized about my current favorite show . Now somehow they came back into my life when I'm in chaos. I lost my dad, and my dog, kiddo, both who I thankfully had for a very long time. longer then anyone could of placed bets on. His siblings didn't help with the funeral, didn't ask if I needed help, my mom reluctantly only paid 1/2. Thankfully I'm one tough cookie, and also that my dad is supposed to have shares in a family business however it's run by my uncle who is either a really stupid bad business man or he's a thief. Either way I don't like him. So for a while I was getting something which wasn't what my dad was suppose to get but anything helped. Then one day without warning and no explanation my uncle or his daughter stopped the checks. My cousin was reluctantly telling me the checks wont be coming for a while. 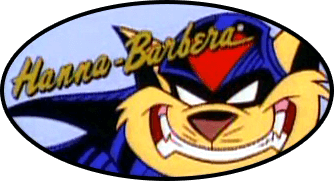 So with drastic cutbacks on food and things Que Swat Kats to make me feel better. First of all, welcome to megakatcity.com! Life is tough for some (I'm across a difficult situation at this moment too), but you need to stay strong and never surrender. As you say, things can change, but if you can make them happen, don't wait and take the step.